Several errors have been recently uncovered in the 4th Assessment Report (AR4) of the Intergovernmental Panel on Climate Change (IPCC). These include problems with Himalayan glaciers, African agriculture, Amazon rainforests, Dutch geography, and attribution of damages from extreme weather events. More seem to turn up daily. Most of these errors stem from the IPCC’s reliance on non-peer reviewed sources. The defenders of the IPCC have contended that most of these errors are minor in significance and are confined to the Working Group II Report (the one on impacts, adaptation and vulnerability) of the IPCC which was put together by representatives from various regional interests and that there was not as much hard science available to call upon as there was in the Working Group I report (“The Physical Science Basis”). The IPCC defenders argue that there have been no (or practically no) problems identified in the Working Group I (WGI) report on the science. 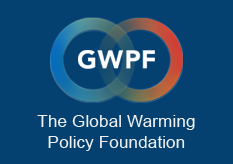 In fact, the WGI report is built upon a process which, as revealed by the Climategate emails, is, by its very nature, designed not to produce an accurate view of the state of climate science, but instead to be an “assessment” of the state of climate science—an assessment largely driven by preconceived ideas of the IPCC design team and promulgated by various elite chapter authors. The end result of this “assessment” is to elevate evidence which supports the preconceived ideas and denigrate (or ignore) ideas that run counter to it. These practices are clearly laid bare in several recent Petitions to the U.S. Environmental Protection Agency (EPA)—petitions asking the EPA to reconsider its “Endangerment Finding” that anthropogenic greenhouse gases endanger our public health and welfare. The basis of the various petitions is that the process is so flawed that the IPCC cannot be considered a reliable provider of the true state of climate science, something that the EPA heavily relies on the IPCC to be. The most thorough of these petitions contains over 200 pages of descriptions of IPCC problems and it a true eye-opener into how bad things had become. There is no doubt that the 200+ pages would continue to swell further had the submission deadline not been so tight. New material is being revealed daily. Just last week, the IPCC’s (and thus EPA’s) primary assertion that “Most of the observed increase in global average temperatures since the mid-20th century is very likely due to the observed increase in anthropogenic GHG [greenhouse gas] concentrations” was shown to be wrong. This argument isn’t included in the Petition. This adds yet another problem to the growing list of errors in the IPCC WGI report, this one concerns Antarctic sea ice trends. While all the press is about the observed declines in Arctic sea ice extent in recent decades, little attention at all is paid to the fact that the sea ice extent in the Antarctic has been on the increase. No doubt the dearth of press coverage stems from the IPCC treatment of this topic. As an example, an updated version of the analysis done by Comiso (2003), spanning the period from November 1978 through December 2005, is shown in Figure 4.8. The annual mean ice extent anomalies are shown. There is a significant decreasing trend in arctic sea ice extent of –33 ± 7.4 × 103 km2 yr–1 (equivalent to –2.7 ± 0.6% per decade), whereas the Antarctic results show a small positive trend of 5.6 ± 9.2 × 103 km2 yr–1 (0.47 ± 0.8% per decade), which is not statistically significant. The uncertainties represent the 90% confidence interval around the trend estimate and the percentages are based on the 1978 to 2005 mean. Satellite data indicate a continuation of the 2.7 ± 0.6% per decade decline in annual mean arctic sea ice extent since 1978. The decline for summer extent is larger than for winter, with the summer minimum declining at a rate of 7.4 ± 2.4% per decade since 1979. Other data indicate that the summer decline began around 1970. Similar observations in the Antarctic reveal larger interannual variability but no consistent trends. “Continues to show…no statistically significant average trends”? Continues? Over the period 1979 to 1996, the Antarctic (Cavalieri et al., 1997; Parkinson et al., 1999) shows a weak increase of 1.3 ± 0.2%/decade. By anyone’s reckoning, that is a statistically significant increase. …Satellite data indicate that after a possible initial decrease in the mid-1970s, Antarctic sea-ice extent has stayed almost stable or even increased since 1978. So, the IPCC AR4’s contention that sea ice trends in Antarctica “continues” to show “no statistically significant average trends” contrasts with what it had concluded in the TAR. Watkins and Simmonds (2000) was also not cited by the AR4. So just what did the IPCC AR4 authors cite in support of their “assessment” that Antarctic sea ice extent was not increasing in a statistically significant manner? The answer is “an updated version of the analysis done by Comiso (2003).” And just what is “Comiso (2003)”? A book chapter!